Currently waiting for a Spouse Group to form. We can start in January. It will meet on Mondays from 1:30-3:00. This group will meet for 7 weeks. A overview of grief, it’s symptoms, coping strategies, and the opportunity to process grief experiences with those who care and are also deeply affected by their loss. Cost per session is $20, payable monthly by cash, check, credit, or debit. Commitment to the group is expected, except in emergency situations. It is most important to the group to become committed to one another, as not to abandon one another in the midst of seeking support. The gift of the group is preferably that of support and understanding from one who has also been there, too. Family Grief Support Groups starts in January and is offered on Thursday evenings at 6-7:30. This group includes loss of child of any age, traumatic deaths which are unforeseen, accidental, or intentional. The starting time is negotiable, approved by the group on the 1st session. If you are a parent, a sibling, a daughter or son with a recent loss, this group is for you. $20 per session, payable monthly by cash, check, debit or credit. 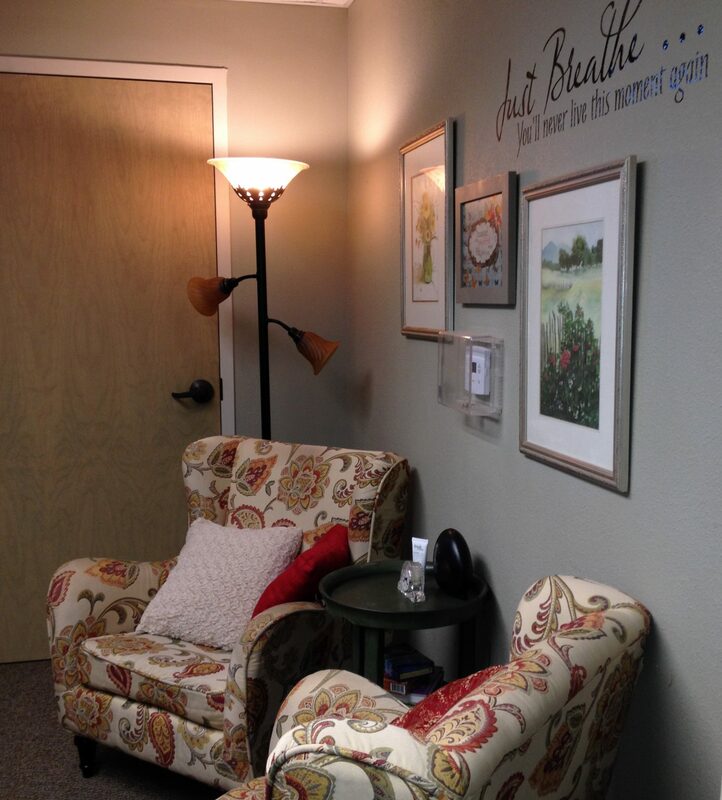 Grief Recovery Method Support Group begins in February for 8 weeks on Wednesdays @ 1-3pm. $30 per session payable by the month by cash, check, credit or debit. Groups can help you begin the processing of deep feelings you have over a loss. This method is also action oriented, with a variety of processes to help you sort out what is necessary to begin to heal from your loss. To register for any group call or text 361-215-5322 or email cvottolpc@gmail.com. A free initial screening session is suggested to help you receive the support you need, determining the option for individual sessions. It’s not the fact that I failed to visit the dying, before their life slipped away, but how so many are leaving us in this passage of 2 years. I lament and miss the old days, when their health was good and they attended church or you saw them in the grocery store. So there have been some good old-timers, who lead the way, braved the changes of life, changes in the city, the church, the environment. So now it’s a time of awareness: regrets that I didn’t get to say goodbye. But that I had wished them well on their journey toward God. That I hoped for their freedom from pain, illness, regrets, and for God’s grace on their souls. It was a time to see them in their transition, as they are turning away from us and toward a new way of being. I then heard her lament, “Was he mad at me? Was he ignoring me?, Why didn’t he want to talk … to me? I felt so useless, I wanted to be of help, but he didn’t seem to need me anymore.” And he was not gone yet. The conversation about who would die first had not happened, they had wills, but they never assumed one would die before the other, or who would be filling out forms that required them to select their new status of “widow”. How would all that be for either one of them? Ouch! a sudden awakening to this new role. Yes, it could be very painful. There is a sadness that comes over me about that limited time to say goodbye, and how it might be received. When are we, ever, really ready to say goodbye to someone we have known well, for years and for others not so long or so well. We will be best to offer how they had given us a piece of “the puzzle of life” or some guidance on this soul journey, or just a simple thanks for all the guidance you have given me. Small gestures, simple words, heartfelt thanks. They each deserve to hear that simple thank you for helping me feel God’s love, or for making life more full, more blessed and for just being kind. Heartfelt goodbyes are in order for Janet, Karen, Pete, Warren, Morris, Cathy, Joe, Bill, and Ken. You each have had a special part to play in my life. You were kind, gentle, loving, wise, inspiring, talented, spiritually mature, and full of life’s wisdom. May your souls and those of all the departed be at rest and peace through God’s love. Change is difficult, unwanted by most and we often fight it, without realizing we are in the middle of it. So when we do recognize that life is not flowing smoothly and life’s bumps are creating problems for us. Do we just keep doing the same old thing? Not really, you must create change that you choose. I would most likely, be the last to know I need change. The signal is how many unpleasant issues are coming at me from all angles, until I recognize the need and do change. Arguments, dangerous and heated verbal or physical exchanges, risky behaviors acted out? Alcohol, drugs, gambling, affairs, out of control? Difficult relationships often are just that. Is this what you want? Have you compromised your values? do you have choices to make? Your guideline is “values”. What do you need to be safe, connected and content? Values are ideas about life you do not want to compromise, because as you do you give away parts of yourself, your self-esteem begins to suffer. Compromise is a key negotiation in marriage, partnerships and relationships for everyone to be happy. Relationships are not meant to be one-sided. I am amazed at young folks today, how they learn to find their strengths, their voice, and happiness. Coming to get guidance during a life transition, can help smooth the way. It can also be the best thing, you do for yourself. Find a counselor, or call me for an appointment. It seems hard to grasp and yet, death has no age specific category. Yet, a few beautiful family photos will defy the imminence of death. Can someone so vibrant and full of energy and love leave this world for the next? Life is fragile. One minute to the next, one breath, one heart beat. It’s sometimes the answer to prayers; or the calling of God to come closer. It’s a time of indecision, waiting and watching. Not really knowing when death will come, it appears to be an ongoing uphill battle, each day goes by at a slower pace, a bit more unresponsive, a bit more tedious … labored. A number of thoughts race through my mind, is it today? will we see this passing to the next life today or tomorrow? It’s so hard to tell, but minute by minute, there are great changes taking place. It’s still hard to tell. Her color is fading, a small wince of the brow, but ever so fleeting. Is that recognition of what’s happening? Is she aware of this transition? Can this be painful? Is she aware we are here, surrounding her bed, arms outstretched? It is painful to all looking on. We are so lucky to be at this place, this moment, at this juncture where she takes her last breath, and where we say “goodbye, it’s OK, we’ll be ok”. Her eyes have opened, as if to say “just one last look at my loved ones”; or to see the newness of life waiting on the other side. She pauses a moment … and with eyes now closed … one last breath … so serene. Sacred ground … Peace at last … And forever young. Yes, another day … and now that I see it is only Tuesday … it may be a long week! so why should that be distracting, or disturbing? The list is longer than I want to admit. Procrastination has made it a longer list. Phone calls to return, emails to respond to and so far no new clients … Starting off as a Counselor in Private Practice is something else, if you do not do the traditional “insurance” route! The trend away from insurance is a better choice, since I won’t be asked to label someone. And so this hill is steeper than I thought it would be. Many new options to choose from and I am using skills that I have used in the past to promote my program. So, how many of you out there have heard of Grief? Felt Grief? Had major losses? My work is in grief counseling and in a small town, a lot of folks have losses we don’t even know about. They will take off 3 days from work and have a few weeks of condolences from family and friends and snap! Yes. Everyone else’s life get’s back to normal, except for their life, which becomes a new, unfamiliar normal, sort of up and down and not an easy transition. So if you are that person, you may just stay busy to avoid the pain and loneliness (not recommended); or you isolate, because you don’t know if you are safe to express yourself with others or you just don’t know when the tears will come. Also you may find yourself unable to think, work or accomplish even the simplest task. It’s all quite normal, but does not feel normal. Adjusting is not easy, as your life is never the same … things seem out of focus. It’s a good day one day and the next is not so good. Up and down. So what I do in my private practice is offer my compassion and guidance to these few affected greatly by grief, so that they will have a better road ahead of them, have a safe place to share and not feel so isolated. I hope folks who struggle will also seek support, away from family who are also grieving and who may not be on the very same path, when you need them … try www.charlotteottolpc.com for support groups or individual help.